Dr. Raul Caceres is an active member of KRF and the Ambassador to Bolivia & Latin America. Following his training in Surgery, and then Plastic Surgery, he did a fellowship in Burn Care at Johns Hopkins in Baltimore, Maryland. He is a member of the International Society of Burn Injuries and a Fellow of the International College of Surgeons. 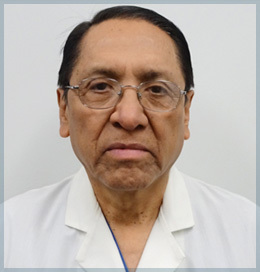 Born in Oruro, Bolivia where there is a great need for burn care of indigent children, Dr. Caceres and his family made possible the construction of a burn unit similar to the ones in the US. For the past 5 years he has been traveling there to treat burns, sequelas and keloid scars. Because keloid scars are prevalent in patients of Spanish ethnicity, Dr. Caceres has great interest in this ongoing research. Dr. Caceres is actively working on establishing the groundwork to study the natural history of keloid disorder in Latin America.